Welcome to the Insider’s Guide to Fourth of July on the South Coast! This isn’t our first rodeo when it comes to the jam-packed excitement that Fourth of July brings. With so many events going on, it can be daunting to decide where to go and what to do. We at South Coast Almanac have created a day by day guide for the long long weekend. Each day is organized by categories: Fireworks, Parades, and Other Fun Stuff. Onset – Children’s parade beginning promptly after the blessing of the fleet at 10 AM. Prizes are awarded for the best decorated bicycles, pets, and doll carriages. Onset – The Onset Bay Association will host the 4th Annual Blessing of the Fleet, a patriotic boat parade complete with the blessing of your vessel by a local clergy member. 10 a.m. at the Main Pier. In the afternoon, there will be a free concert with local favorites Pocketful of Soul, digging deep into the library of all your favorite funk, soul and R & B tunes you will be sure to want to get up and dance to. Bandshell (across from town pier), from 1-4 p.m.
Fall River – Watch the Fireworks from Battleship Cove. Gates open at 7:30. Fireworks begin at approximately 9:30 PM. Tickets are $8.00 per person. See more here. Fairhaven – Fourth of July Car Cruise & Float Parade. Gather for flag raising 8:30 am at Fairhaven High School, 12 Huttleston Avenue, Fairhaven. 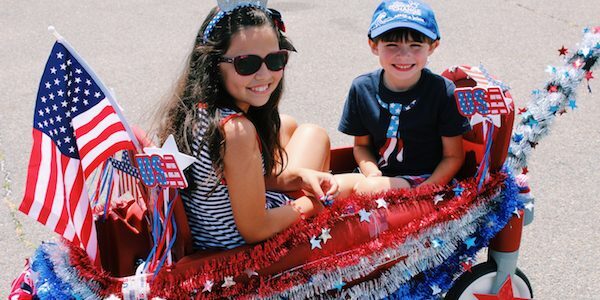 Parade departs from there at 9 a.m.
Freetown – Starts at 10:00 am at South & Main St.
Mattapoisett– 48th Annual 4th of July 5 mile Road Race: 9:00 AM at Shipyard Park, 13 Water Street. Have any other ideas for July Fourth fun? Share them with us by commenting below. 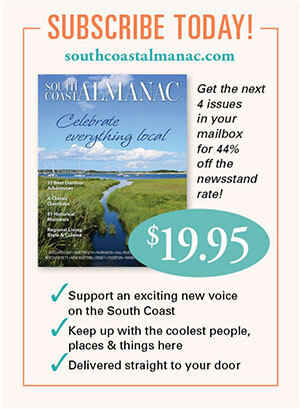 And, if you want to stay in the know about other cool tips, as well as stories about the people, places, food and other things that make the South Coast special, sign up for our free emails right here. This entry was posted in Holidays and tagged in fireworks, fourth of july, parades, south coast. Mattapoisett- 48th annual 4th of July Road Race begins at 9am at Shipyard Park, Water Street. 5 mile race through the beautiful village, through neighborhoods, circles around Ned’s Point lighthouse and finishes back at Shipyard Park, across from the Inn at Shipyard Park, 13 Water Street. Thanks so much, Cecile!! We’ll put it on the list.